People working in artificial intelligence are often confronted with an embarrassing question. They are asked if they are attempting to create artificial “minds”. The answer they should logically give is, “No, minds are a topic in psychology. What we are attempting to create is artificial intelligence.” If pressed on this point, they should draw a sharp distinction between minds and intelligence by explaining that minds have mental states like “consciousness”, and intelligence is the processing of information. However, artificial intelligence investigators are their own worst enemies. They are not content to say that they are interested in making machines that can process information in ways that are equal to or superior to humans. They insist that they are attempting to create conscious machines. 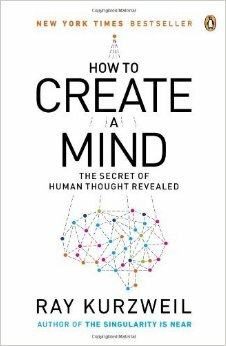 Ray Kurzweil, a pioneer in artificial intelligence, has even gone so far as to title his most recent book How to Create a Mind. Of course, Ray Kurzweil has a reason for insisting that computer intelligence will eventually equate to human consciousness. Ray Kurzweil wants to live forever. One of the ways that he proposes to live forever is to “upload” his mind into a new substrate that is essentially a computer. This procedure can only be successful if one assumes that an algorithm that mimics the human brain and that is running on a computer can also be conscious. This is the motivation of nearly all Transhumanists who insist that computers can be conscious. There have been many mysteries in science that were eventually explained. Among these mysteries are life and intelligence. Through experimentation, we have been able to demonstrate that life is actually the result of chemical interactions. The investigation of intelligence has followed a similar pattern. We cannot yet completely explain it, but we have demonstrated, at least in part, that intelligence is the result of complex algorithms. Consciousness is still considered to be mysterious. The assertion is often made that since we were able to explain the mysteries of life and intelligence, we should also be able to explain consciousness. However, there is an important distinction. When we initially observed that life and intelligence are mysterious, we meant something very different from when we say that consciousness is mysterious. Life and intelligence are accessible phenomena. Even when we could not explain them, two people could measure them and report comparable results. They could not explain the results, but they had reproducible results about which to attempt an explanation. Consciousness is different. When discussing human cognition, we are often compelled to introduce an additional aspect to the discussion. 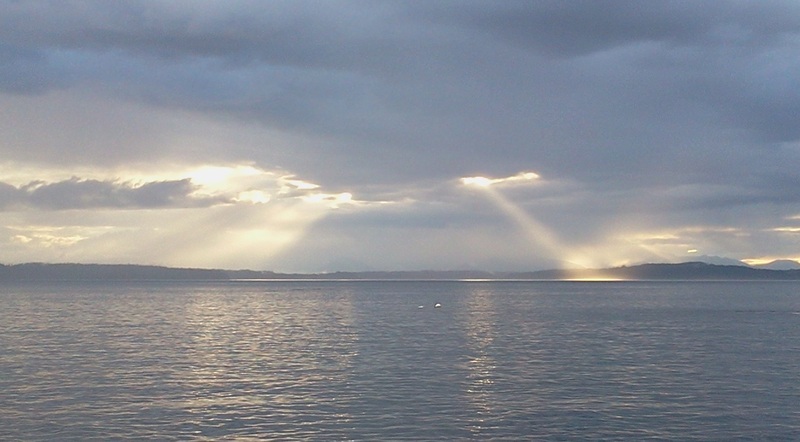 We report a very personal experience that we have agreed to call consciousness. The key element of this experience is that it “seems mysterious”. The only reason why our attention is drawn to this phenomenon is that it seems to contradict our intuitive sense of what a material object (the brain) should be able to accomplish. It seems like a material object should only be able to be “there”, but somehow consciousness is “here”. Consciousness could almost be defined as “that which seems to contradict our intuitive notion of science”. But this definition renders consciousness a priori nonsense…at least in the arena of hard science. Consciousness is not a mystery in the sense of an unexplained observation. It is not an observation that can be defined and reproduced but that’s explanation eludes us. Consciousness is Mysteriousness. It is mysticism. Note that humans report many similarly subjective experiences, some of which are taken seriously and some of which are not. They report the ability to leave their body. They report the ability to see other people’s auras. They report the ability to hear God. Some investigators, such as Daniel Dennett, claim to have pinned down consciousness; but even a cursive examination of their writings shows that what they have actually pinned down is certain characteristics of human cognition that they assume are associated with consciousness. No scientist has ever found consciousness. There is no such thing as a consciometer. If someone claimed to have discovered an example of consciousness somewhere other than a biologically associated mind, they could not provide an objective demonstration of this discovery. Note that I am not saying consciousness does not exist or that it is unimportant. In the psychology and philosophy of mind, it definitely exists and is very important. As John Searle points out: “where consciousness is concerned, the existence of the appearance is the reality.” No experience that so many people report should be dismissed. However, it is not necessarily the case that everyone reports consciousness. Some intelligent educated people have reported that they have never been able to grasp what is meant by consciousness. Also, there are some important theorists who argue that consciousness (specifically the hard problem of consciousness) is a trick of perception. Daniel Dennett considers the hard problem of consciousness to be an illusion created by mental sleight of hand similar to an illusionist’s tricks. What all of these doubts and contentions suggest is that consciousness is a very human concern. It is a problem of the human experience. It is not a problem of intelligence. It is certainly not a problem of computation. No handheld calculator ever malfunctioned due to a lack of the internal experience described by humans as consciousness. I am also not saying consciousness can never be explained. We may eventually find the basis of consciousness. We may even invent something that could reasonably be called a consciometer. Similarly, we may eventually prove the existence of out of body experience, auras, and God. What I am saying is that consciousness is not the same kind of mystery as other mysteries encountered by science. It is not an accessible measureable phenomenon that is mysterious because we cannot explain it. It is a completely undetectable subjective experience that is only of concern precisely because the subjective experience of it is regarded as mysterious. Computer science is a traditional hard science. It can be experimented with and it yields hard, reproducible, directly measurable results. Since computers are often able to replicate aspects of human behavior that we have labeled intelligence, we call those results “artificial intelligence”. But that does not justify introducing the mystical quality of mind that we have decided to call consciousness. Mathematicians do not say that their proofs and theorems are spells. Computer scientists should not say that their algorithms are mysticism. In other words, they should not introduce the unrelated, soft scientific, subjective experience that has been labeled consciousness. Above, when I explained Transhumanist’s motivation for believing computer programs can be conscious, I probably gave Transhumanists too much credit. The fact is that it will almost certainly be possible in the near future to translate the functionality of most of the human brain to a computer substrate. However, Transhumanists will only be satisfied with this translation if they can be assured that their subjective human experience of consciousness will also be translated. In other words, they need to believe that what they feel that they are will become what the resulting program actually is. Moreover, they need to believe that who they feel that they are will become who the program actually is. They need to believe that the “there” that is mysteriously “here” will become the “here” that is ultimately “there”. The philosophical contortions that Transhumanists go through to convince themselves that an indefinable subjective characteristic of object A will somehow become an actual characteristic of object B are remarkable. Artificial intelligence investigators should declare an immediate and complete moratorium on all discussion of creating “minds”. They should draw a sharp distinction between mental states and intelligence and make it clear that what they are attempting to create is intelligence. They may eventually be able to make machines that are more intelligent than people. These machines may exhibit all sorts of behavior that was once thought to be the province of human beings. However, they should always remember that these things are machines. They are mechanical devices—devices comparable to automobiles and clocks—that utilize algorithms that sometimes mimic aspects of human behavior. Machines are machines and people are people. Until someone demonstrates a workable and reliable consciometer, there will never be a logical scientific reason to imagine otherwise.